One of the main advantages of estate planning in Oklahoma is to ensure your wishes are carried out after your death. Some people believe that if they do not have a significant estate, they do not need to worry about estate planning. However, it is very important to have a basic estate plan in place regardless of the size of your estate. Estate planning is a way to ensure that your family’s financial goals are met after your death. Providing for your family after your death is an important aspect of estate planning. Unfortunately, you never know when you will leave this world; therefore, you should be prepared in the event of your premature death. If you feel that you are too young or that you have not accumulated sufficient assets to worry about the advantages of estate planning in Oklahoma, you are wrong. If you own a home, car and other personal belongings, you have an estate. If you fail to take steps to protect your estate from Oklahoma’s intestate succession laws, your family may be the ones that lose after your death. Our intestate laws are rigid and do not take into consideration family dynamics or family relationships when distributing property after a person’s death. Therefore, no one is ever too young to begin estate planning. Maintain control – One of the primary advantages of estate planning in Tulsa is that it keeps you in control of your health and property. Estate planning is more than just having a will that tells your family how you want to divide your property after your death. Instruments included in estate planning include wills, powers of attorney, living wills, medical powers of attorney and health care proxies. These legal documents give you the ability to plan for your healthcare if you are incapacitated, as well as instruct how your estate will be distributed upon your death. Protect your children – In the event that you and your spouse both pass away, you want to make sure that your children are provided for physically, emotionally and financially. Estate planning allows you to provide for your children financially; however, you can also choose who will have physical custody of your children after your death. This is an important decision that you do not want to leave up to the court systems. Reduce estate costs – With proper estate planning, you can avoid unnecessary court costs, legal fees, professional fees and estate and gift taxes. A useful tool that your estate planning attorney will discuss with you is reducing the size of your estate by giving gifts prior to your death, including unlimited educational and medical gifts. This can lower or even avoid estate taxes for your heirs. Make specific bequests of property – Most wills and trusts divide property among heirs according to a specified percentage or a specific amount; however, you can also list specific bequests to ensure special items are handled according to your wishes. You can provide a list of specific bequests for items you want to leave to certain people. This allows you to give cherished heirlooms to specific family members who will appreciate them and treasure them after your death. Asset protection – In some cases, you may need to protect assets from lawsuits, creditors or domestic actions. Forming trusts can protect your assets and eliminate estate taxes. An estate planning attorney can discuss a variety of trusts with you to determine if this is an estate planning tool that will benefit you and your family. Whether you own a little or a lot, estate planning is a way to protect what you have and what you will accumulate prior to your death. It protects your family and ensures that your wishes are carried out should you die or become incapacitated. 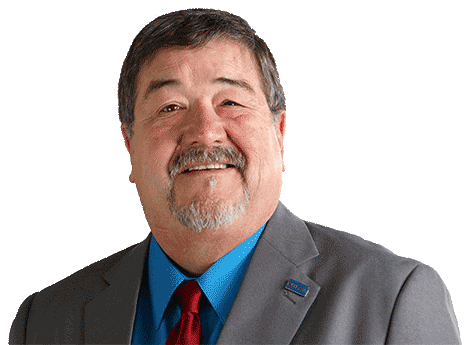 From basic estate plans to advanced trust and estate planning, Earl D. Lawson has the expertise and knowledge to help you protect your family and your assets. 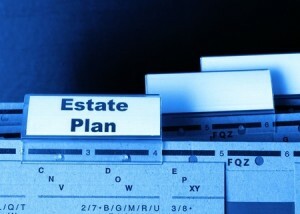 Estate planning is an important part of your financial plan. Do not overlook or dismiss the importance of proper estate planning and the importance of having an experienced estate attorney to help guide you through the process to ensure that your estate plan is enforceable and will withstand any attacks from disgruntled family members. When you need the services of an experienced estate planning attorney, call Oklahoma Will & Trust. Tulsa Estate Attorney Earl D. Lawson has the experience and knowledge to assist you with all of your estate planning and probate needs. As a skilled Tulsa estate planning attorney, Earl D. Lawson knows the advantages of estate planning to protect your estate and ensure that your wishes are followed.